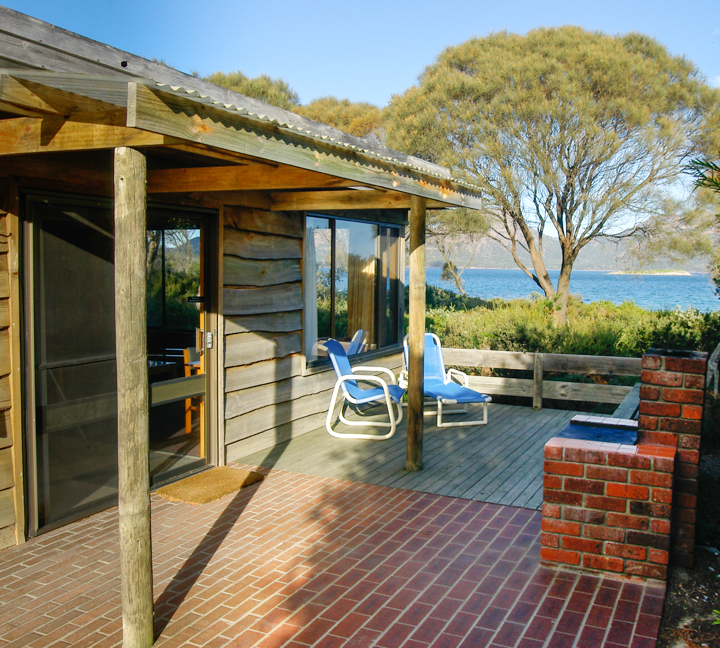 Freycinet accommodation that is both idyllic and contemporary. 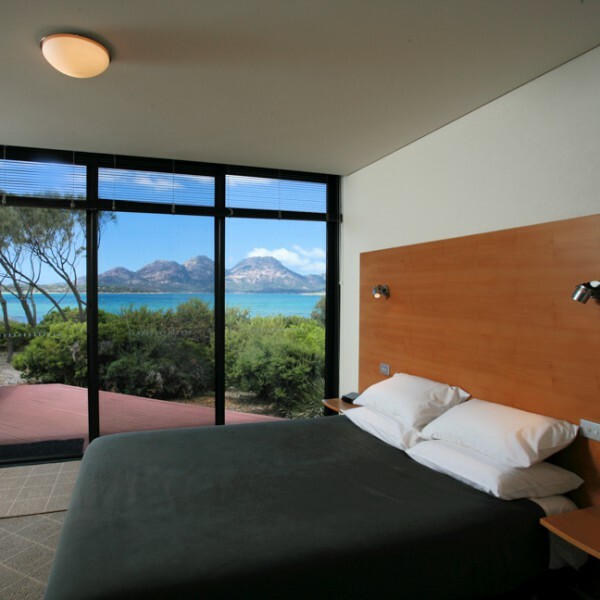 Our Oceanview Suites are minimalistic and elegant. 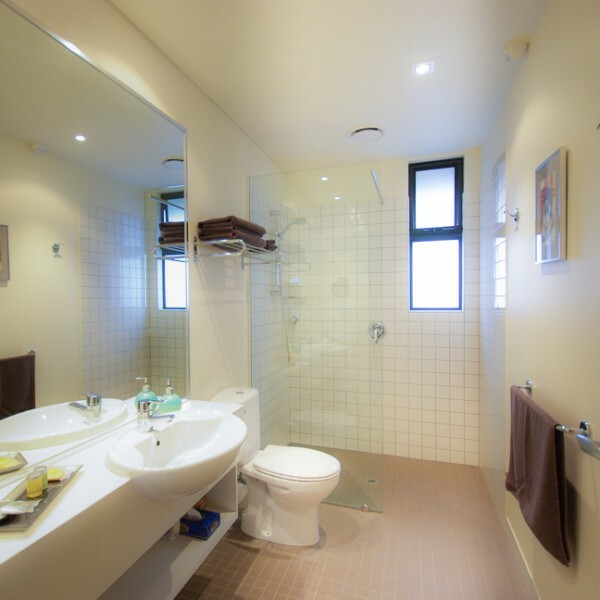 The smallest details have been carefully considered to ensure total relaxation and maximum privacy, and of course a perfect view! 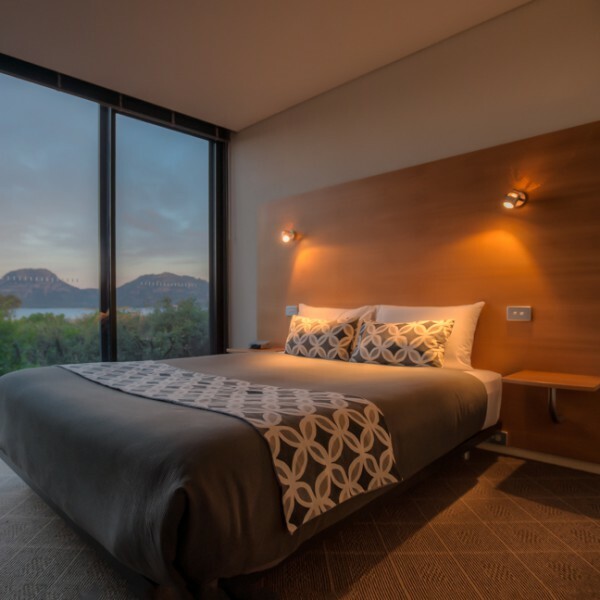 Imagine waking to the sounds of the ocean, relaxing in your king size bed, relishing breath-taking floor to ceiling views across Great Oyster Bay. Unwind after the day’s activities on your private deck with a glass of wine, where you can watch the sun set on the pink granite Hazards Mountains. Round out your day with a gastronomical delight at The Edge Restaurant, conveniently located just a few metres from your suite. 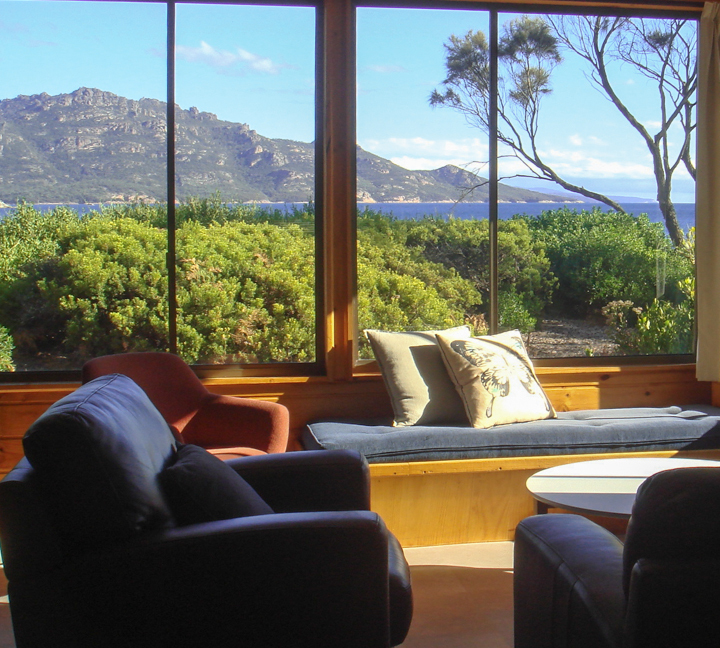 The Oceanview Suites have been thoughtfully designed to bring the Freycinet Peninsular to your doorstep, while minimising environmental impact. 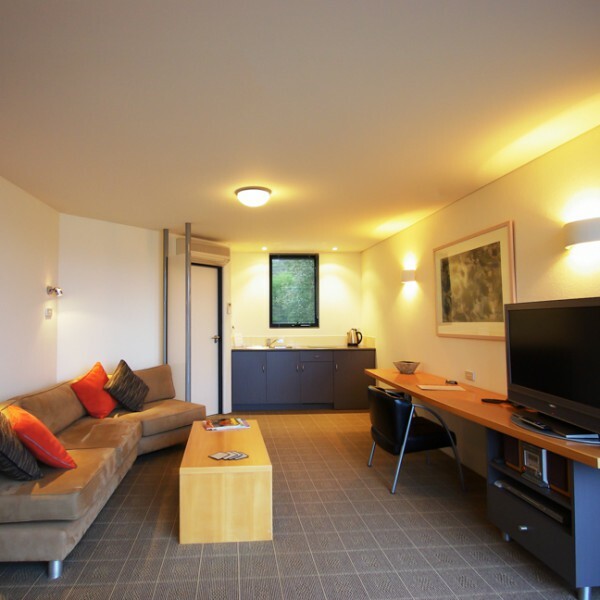 The suites represent eco-tourism at it’s finest. 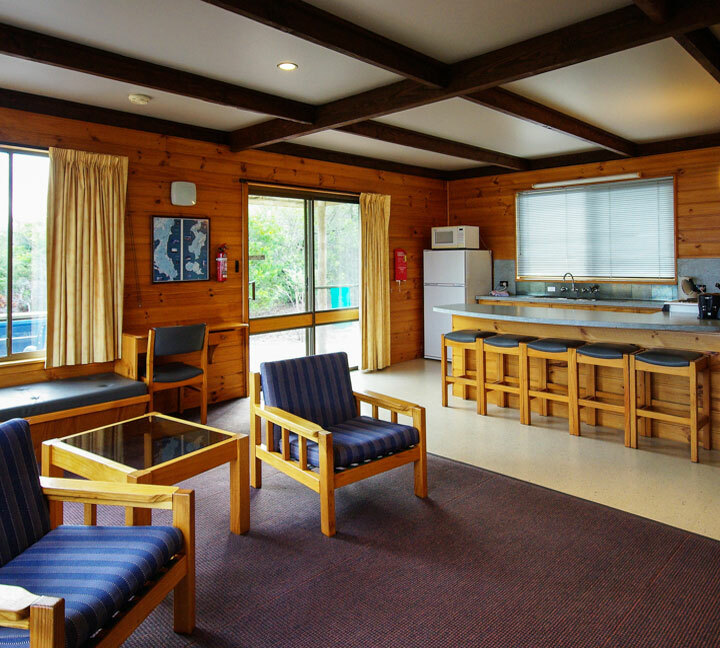 Each suite has a LCD TV and stereo, DVD player, individually controlled air conditioning, a private deck, a lounge area and kitchenette (toaster, kettle, coffee plunger, bar fridge, crockery). 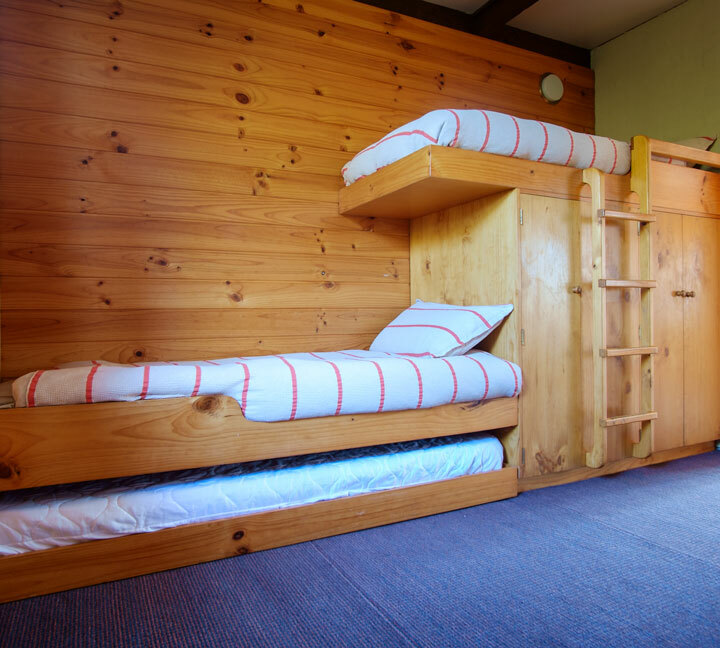 Quality furnishings include a King pillow top latex mattress and feather, allergy free pillows. Suites have level access. 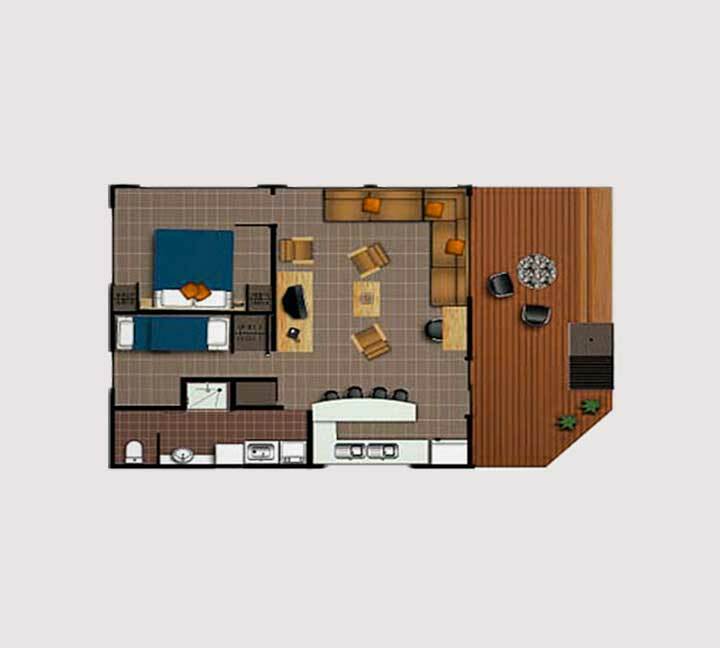 Suites accommodate a maximum of two people, including infants and children. Our accommodation is available all year round, but please check our off season restaurant closure dates. 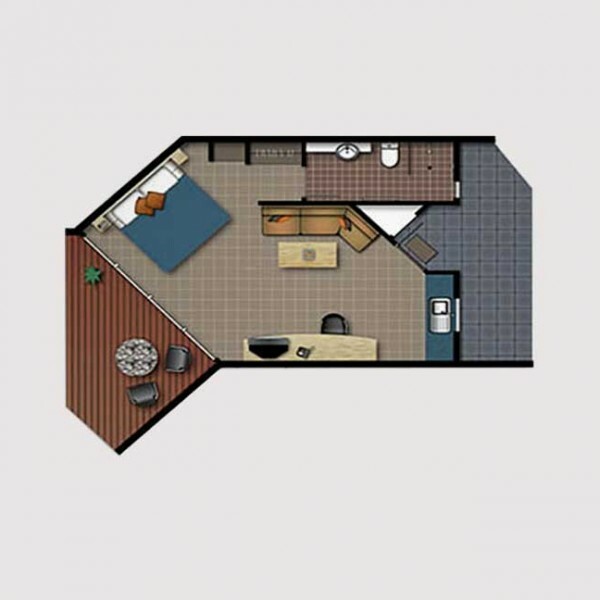 Family, Double or Single Accommodation. 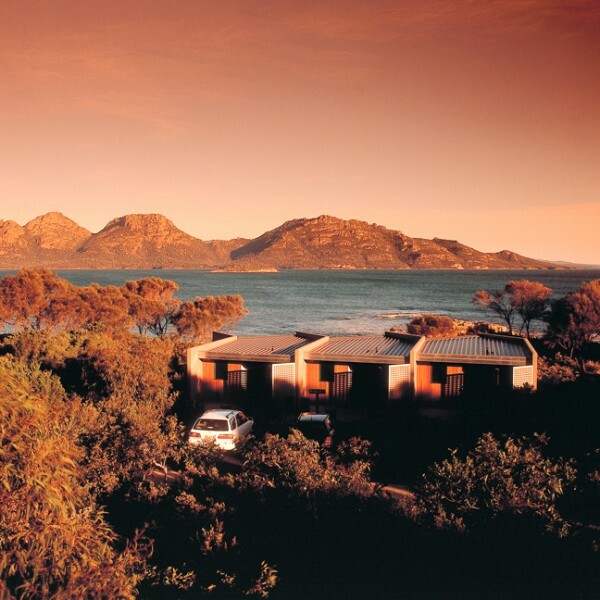 Our Secluded Cottages have been designed to provide tranquil accommodation, with superb views across Great Oyster Bay to the ‘Hazards’ mountains and Freycinet Peninsula. 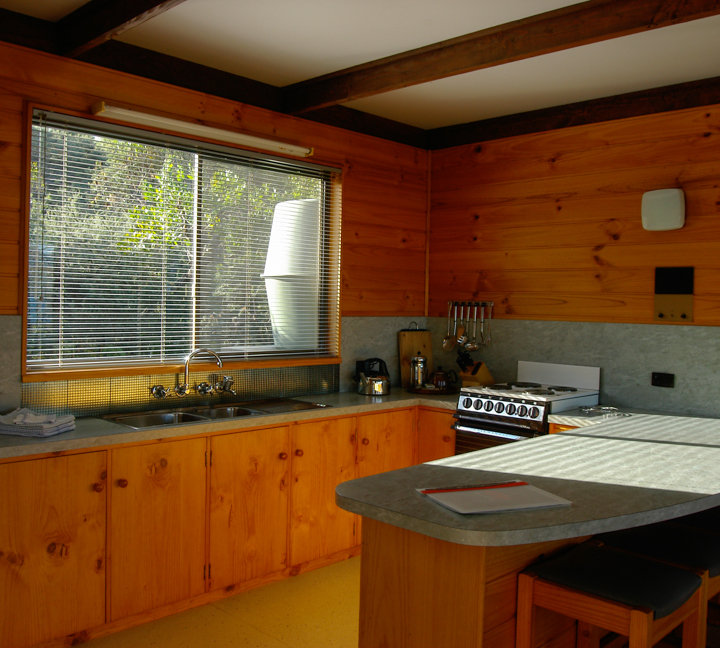 The cottages have been carefully positioned for maximum seclusion and minimal environmental impact. You could be forgiven for thinking yours was the only cottage for miles. 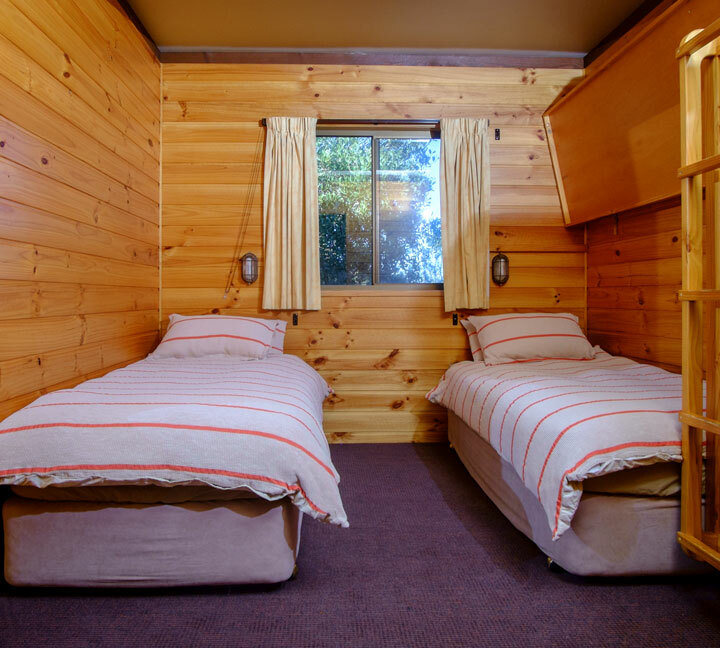 Each one has a LCD TV and stereo, DVD player, heating, air conditioning, dual control electric blankets, washing machine and a private deck. 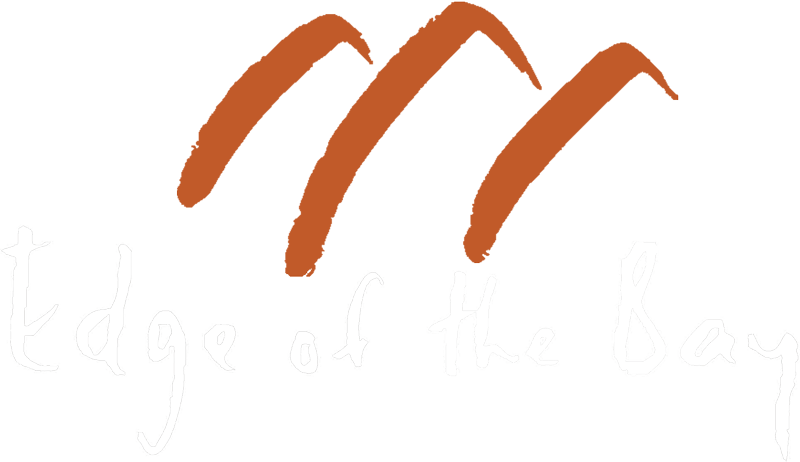 We can cater for your dinner in the restaurant; alternatively, cottages have both a fully equipped kitchen and private BBQ. 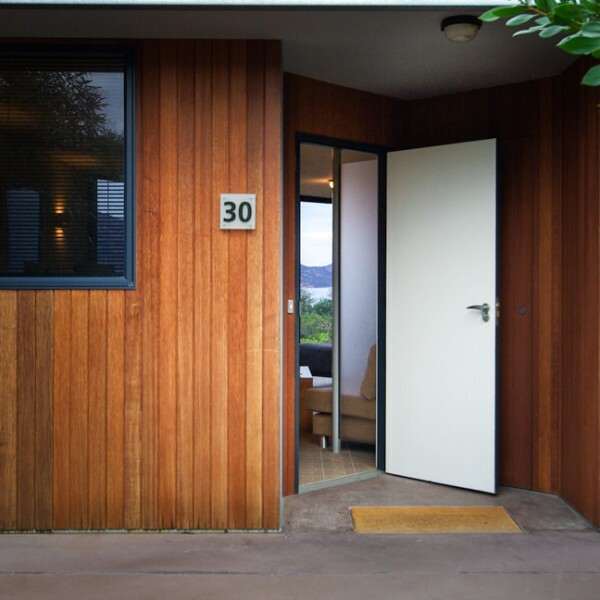 Inspired by the quintessential Aussie beach shack, the Secluded Cottages are fully equipped to provide everything a couple, or family need to enjoy the perfect seaside getaway.